Master the knowledge needed to become a network engineer or manager. Immerse yourself in Cisco systems and topics such as cyber security, ethical hacking and virtual networks. Graduate with the skills to work in a range of careers in an ever-evolving and increasingly important sector. Networks and Cybersecurity blends academic rigour with practical skills and incorporates the Cisco Certified Network Associate curriculum for small and medium-sized networks. You will develop both practical skills in designing and building networks, as well as expertise in five key areas of network management: fault, configuration, accounting, performance and security. For each of these, you will learn about available protocols and how to analyse different models and standards. At the same time, the course covers all the fundamentals of computing. Topics include web applications, database systems, programming and software development. This module will provide you with the second half of the CISCO accreditation for CCNA. Cover areas of Network Security including: dial-up security, TCP/IP based networks, securing network services, AAA (Authentication, Authorisation & Accounting), Encryption techniques, firewalling, intrusion detection methods, intrusion prevention methods, proxies, virtual private networks and network security policies. You will also set up live secure networks (hardware and simulated), and system recovery after attacks. Concentrate on the increasingly important subject of virtualisation and programming in Python. You will research a topic and develop software that’s connected to that topic. Past examples include an Android audio application, a Trojan detector and a network monitoring tool. We accept a maximum of 6 points from Level 3 Key Skills qualifications. Please note we do not accept AS/A Level General Studies. 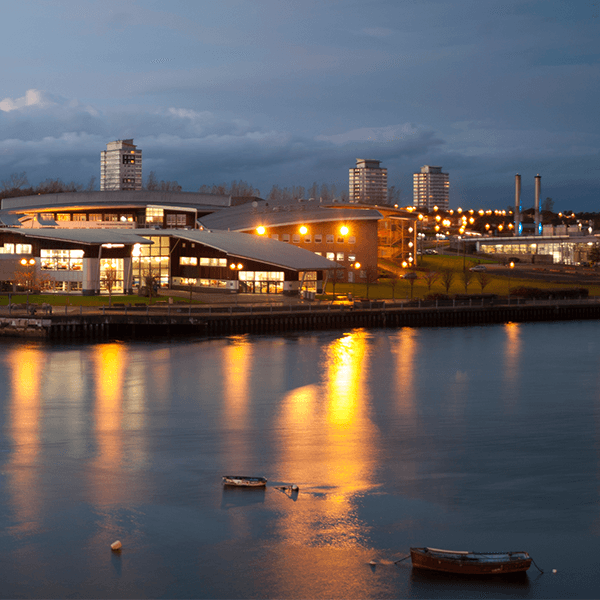 Sunderland has a good reputation with employers - 93.4% of our graduates are in employment, further study or training within six months of graduating, according to DLHE 2016/17 (based on full-time, first degree, home leavers). The top type of job gained by our graduates is ‘information and communication technology professional’. The University has really opened doors for me. There couldn’t be a better time to study Network Computing at Sunderland.